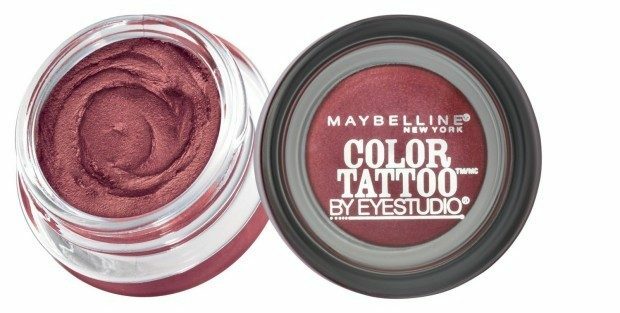 Maybelline 24 Hour Eyeshadow Pomegranate Punk Only $4.54 + FREE Shipping! You are here: Home / Great Deals / Amazon Deals / Maybelline 24 Hour Eyeshadow Pomegranate Punk Only $4.54 + FREE Shipping! Ink intensity. Tattoo tenacity. Dare to wear the longest lasting shadow. Eye studio color tattoo’s ink technology creates the mostsaturated shadow. Cream gel smooths on for vibrant, crease-proof color that never fades. Dare to get inked. Get the Maybelline 24 Hour Eyeshadow Pomegranate Punk for Only $4.54 + FREE Shipping!